Jambangle was one of the earliest compositions by Evans after several years of arranging the music of others. He originally wrote the piece for the previously mentioned Jazz Workshop, led by Hal McKusick, and this version was recorded on April 6, 1956. 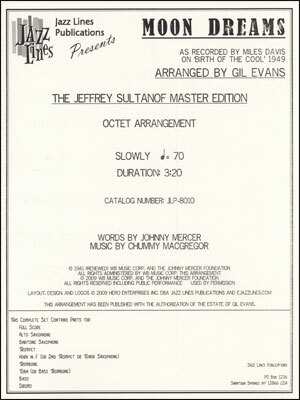 Evans new version was recorded by Rudy Van Gelder on October 11, 1957. 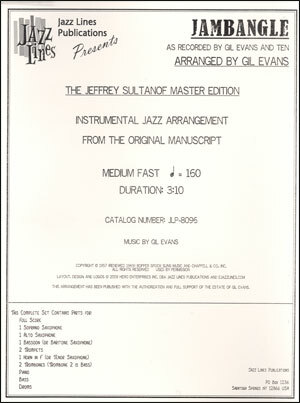 This Jazz Lines edition of Jambangle has been extensively re-edited using a photocopy of the original score in Evans hand. 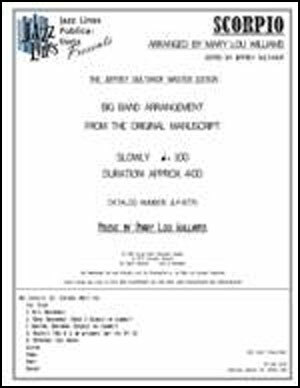 Please note that for this publication, the French horn part has a key signature on the score and part; Evans did not use one. Also please note that the piano part has been transcribed; it does not appear on the score. Bars 59-64 were missing chord names. Jambangle is an excellent example of Evans reworking a piece hed written some time before. This version uses many of the same ideas as the arrangement for McKusick, but is improved in every way here. As was usual with Evans, he took the opportunity to experiment, create problems for himself and then solve them as creatively as possible. 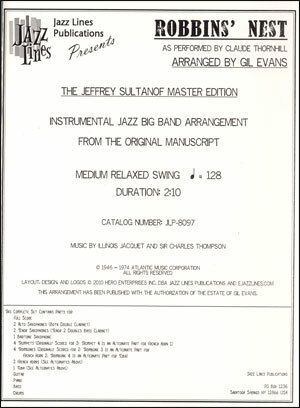 According to Howard Johnson and Anita Evans, tubist Bill Barber was not available for this album, so Evans chose a bass trombone. He also used a bassoon instead of a baritone saxophone as a bass instrument (although here again, he also exploits the high range of the instrument; shades of Stravinskys Rite of Spring). At this point in his life, he was no longer using a five-person saxophone section anyway; the only saxophone on Miles Ahead, and Porgy and Bess was an alto sax; the rest of the reed section were three players who doubled on clarinets and flutes of various sizes. 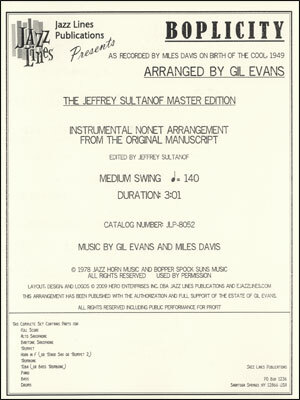 In a way, the instrumentation on Gil Evans & 10 is an elaboration of the one used for the Miles Davis Nonet. He used a similar instrumentation on his two World Pacific albums, and also the band he led at the Jazz Gallery in 1960. A concern is the blend of the group. The conductor must resist the temptation of making the bassoon play louder to fill up the bottom of the ensemble. It is clear that Evans wanted the bottom to be felt more than heard. 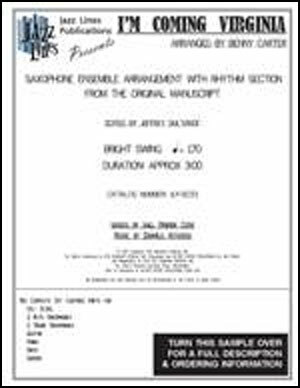 Even though the alto sax is barely audible on the original tape, this part needs to be equal to the other two reeds. Please do not replace the soprano sax part with a clarinet. The five brass should balance well with a bit of practice. The out-chorus at Letter P is particularly challenging, as no one instrument should stick out over the trumpets who are quite low at some points. Check out a pdf sample!